At a special meeting of Grand Lodge in June 1919, the Grand Master, the Duke of Connaught, expressed a wish that a memorial be established to commemorate those brethren who had made the supreme sacrifice in the 1914 - 1918 war. It was agreed that this memorial should be a building of a central home for Freemasonry on a site to be selected in London. The Masonic Million Memorial Fund was launched in September that year and brethren at home and overseas were invited to contribute to raise the £1m needed to finance the work. Contributions from individuals and Lodges were recognised by the reward of a commemorative Hall Stone Jewel. The Hall Stones medals were produced in three sizes. The smallest was a breast jewel suspended on a dark blue ribbon. 10 guineas or more purchased a silver one, 100 guineas or more purchased a gold one. A combined total of 53,244 such medals were issued to individuals. The largest Hall Stone Jewel is of 18 ct. gold and coloured enamels. Only 3 were ever awarded. Two Districts, Japan and Burma, and one Province, Buckinghamshire, qualified by contributing an average of 500 guineas per lodge. In further recognition of their achievement, rooms 11, 12 & 17 in Freemasons’ Hall were named after them. 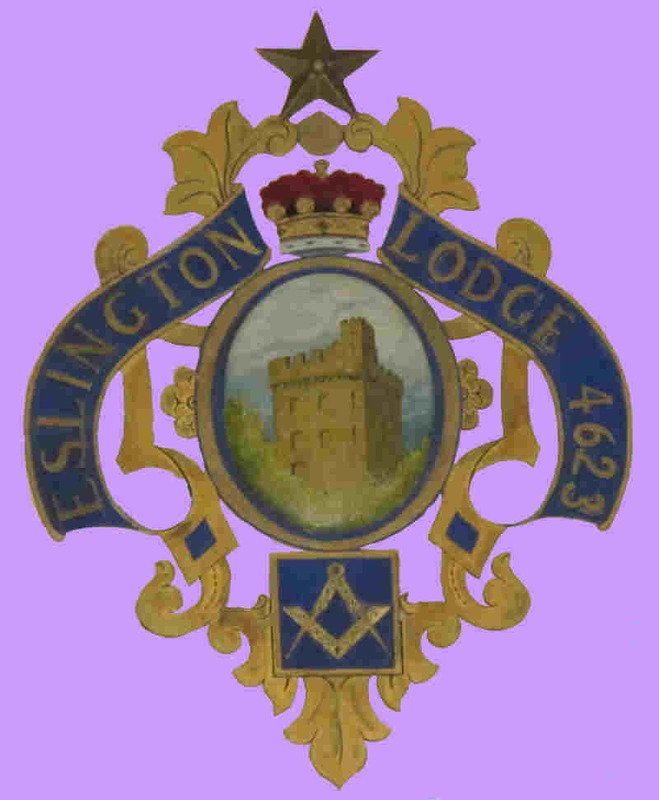 A Hall Stone Jewel was conferred on Eslington Lodge by the most Worshipful Grand Master on the 5th March 1930. The form of the jewel is symbolic for the side squares are inscribed the dates 1914-1918: four years of supreme sacrifice. In The centre is a winged figure, supporting a Temple, representing Peace. The jewel is suspended by the square and compasses, two of the great though Emblematic Lights in Freemasonry and is attached to a ribbon which is worn around the neck of the Worshipful Master as part of his Masonic clothing. 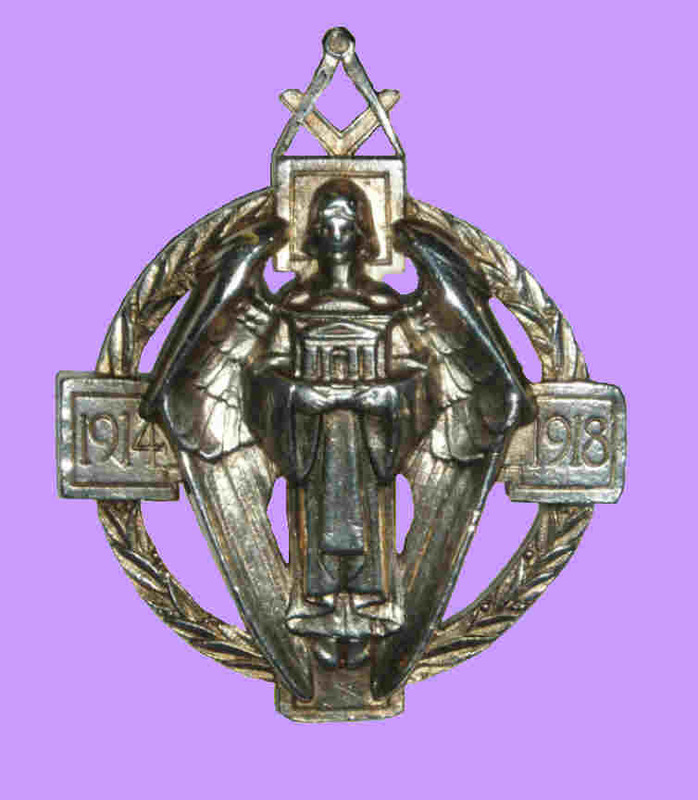 The wearing of the Jewel by the Master of a Lodge fulfils a double purpose. First it provides visible evidence that the Lodge has faithfully and conscientiously discharged its obligations to the Fraternity; Secondly, it should ever provide the inspiration to every Brother to put service before self.